I almost called this article "How to Change a Jacket Zipper the Right Way" - but, in spite of my website's name, I don't really believe there is a right or wrong way in sewing. There are so many ways to sew things and get great end results... Anyway - this is the technique my Home Ec teacher would have approved of for replacing a jacket zipper. There are not a lot of steps, but it does involve a fair amount of time to complete this. Get comfortable, the first step is going to take some time. Make sure you have good lighting and get out your seam ripper. Pick an end of the zipper, and also pick a side, and begin cutting every other thread that holds the zipper. Pick off ALL the loose thread ends - there will be a lot and they will probably be hard to get hold of to pull out of the zipper placket's fabric. If you can't get a grip on the thread ends, you can use tweezers to grab them and them out of the material. Position the new zipper in the open-out zipper placket. If you prefer to use pins, pin the zipper in place. Be aware that some types of fabric will show permanent pin holes if you use pins, so check before you stick pins in your coat. 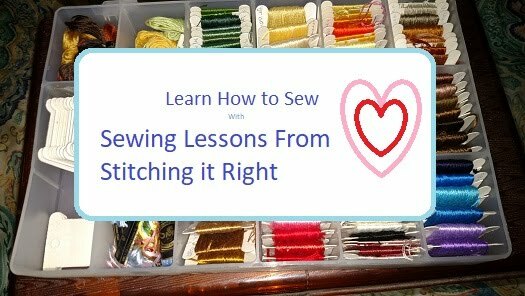 If you prefer to just jump in and start sewing, set your sewing machine to its longest stitch with thread in a color that contrasts the garment's fabric so it will be easy to see, and slowly baste the zipper into the placket. Finish basting the zipper in place, then test the jacket's zipper to make sure it works properly and lines up correctly. If anything is a touch "off" - like the zipper not working smoothly or if it looks crooked - pull out the basting and set the zipper again. It can be a little bit of a hassle, but it is MUCH easier to remove basting stitches than regular stitches. If everything is good, pull out about three inches of basting stitches, set the machine up with the proper thread and set it to a normal stitch length, then sew about an inch, trying to hit the original stitching line closest to the zipper teeth, from the original zipper. Remove about three more inches of basting stitches, then sew about three inches. It's a little harder to remove the basting stitches with the jacket placed in the machine like this, but it is the fastest way to do this. Keep going three inches at a time until you have stitched the length of the zipper in place. Stitch the second row of top-stitching along the zipper, about 1/4-inch in, or on top of the original stitching line - if you can see the original stitch line. Repeat these steps on the other side of the zipper. Trim off thread ends and test the zipper one more time to make sure it works properly, then give yourself a big pat on the back, because you just replaced a jacket or coat zipper the traditional way. Are You Considering Starting a Sewing or Alteration Business? I mentioned the time involved a couple times in this article for a reason - if you enjoy sewing and are considering taking in alterations for a business, you are going to need to know how long things take so you can set your prices. 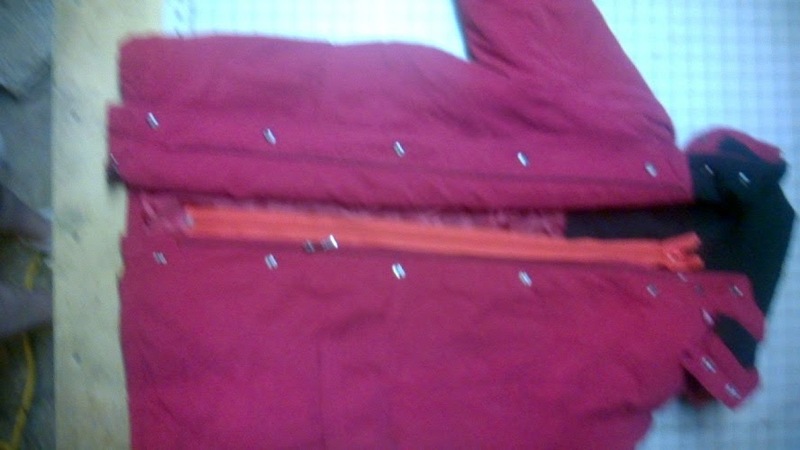 For example, if you are going to give someone a price on changing a jacket zipper, expect a minimum of $5 for the zipper cost (usually more) plus 2.5 hours at however much you want to make per hour - let's say $10 per hour or $25 labor, which is cheap for a skilled task like this - (remember, it's okay to charge what you are worth - if everyone could do this, they wouldn't bring their stuff to you - match your pricing to your skill level - if your skill level warrants more than $10 per hour, charge more) so anyway - when you add the zipper cost to the labor $5 + $25 = $30 - that's $30 you need to charge for this job if you want to make any money. That might sounds like a lot of money for a jacket zipper replacement, since there are places you can buy a new coat for less than that, but it is ultimately up to the customer to decide if his or her jacket is worth the investment. If you hate replacing zippers, check out this "cheater" way to replace a zipper in a coat or jacket. From start to finish, this took me exactly 40 minutes - and that was with stopping every few minutes to take photos, and cropping the photos and uploading them to my email so I could write this tutorial when I came back to the computer. I could have done it in about 20 minutes if I hadn't been planning to write about this zipper changing process. Since this tutorial is about changing a zipper the fastest way possible, let's stick with the fast theme and jump right into the steps! Grab your scissors and cut off the old zipper as close to the seam as you possibly can. Cut slowly and carefully so you don't cut the jacket. Cut both zipper pieces all the way off. Pick off any frayed pieces you can see from the old zipper's ribbon. Pick up the new zipper and center it on one side, right where the old zipper rested. If you use pins, pin the zipper down. If you prefer to sew without pins, make a couple small tailor's chalk marks on the end corners and a few along the edge of the zipper's ribbon to make it easy to check your work as you sew - as long as you can see your marks and the zipper is lined up, you'll know you're on track. The new zipper will often be either longer or shorter than the new old one, that's why you center the new zipper to get the best result. If the new zipper is a touch too long, you can fold the top end under before you begin sewing and then when you stitch it down it will be hidden. Put the zipper foot on your sewing machine and make sure it is set to make a straight stitch. Sew the first line of stitching with the zipper foot's edge against the zipper teeth, then sew a second line of stitching with the needle close to the edge of the zipper's ribbon or tape. If you are working on a thick coat, it can be challenging to sew straight (as you can probably see in my picture...) and the best remedy for that (TIP) is to sew slowly while keeping a firm hand on the jacket. If the jacket also has snaps or buttons, fasten them then turn the coat inside out. The side of the zipper you haven't sewn yet should be perfectly lined up where you need to stitch it - in this photo you can see due to the contrasting color of the zipper I'm installing. Either pin the unstitched zipper edge in place or mark the corners and raw edge with tailor's chalk. Sew the second side in place the same way you did the first side, sewing against the zipper teeth first and then close to the zipper's edge. Clip off your thread ends and turn the coat right side out. If your zipper matches the coat, it will not stand out like this contrasting colored zipper does - though when the snap placket is closed, you cannot see the zipper in this coat at all. If you try this super easy zipper changing technique, I would love to hear your thoughts on the process. I hope you like this simple way to replace a zipper as much as I did.